Saturday is derby day in Barcelona. RCD Espanyol are having one of the best seasons of recent years, and will enjoy home advantage in the latest edition of the oldest rivalry in Spanish football. Let’s take a closer look at the club known as the ‘parakeets’. Hans Gamper sparked a football craze in the city when he founded FC Barcelona in 1899, and within a year a number of other teams had started playing the game too. Originally set up by university students, the ‘Spanish Football Society’ is the only one that has survived to the present day. The ‘big two’ of the old Catalan Championship were founder members of La Liga in 1929, and having only missed out on five seasons since, Espanyol is the club that has appeared in the most editions without ever winning the title. For most of their history, Espanyol played at the Estadi de Sarrià, just down the road from the Camp Nou. The site was sold in 1997 and they spent a decade at the Olympic Stadium, Montjuic before moving to their new home, the ultra-modern 40,500 capacity RCDE Stadium on the outskirts of metropolitan Barcelona. 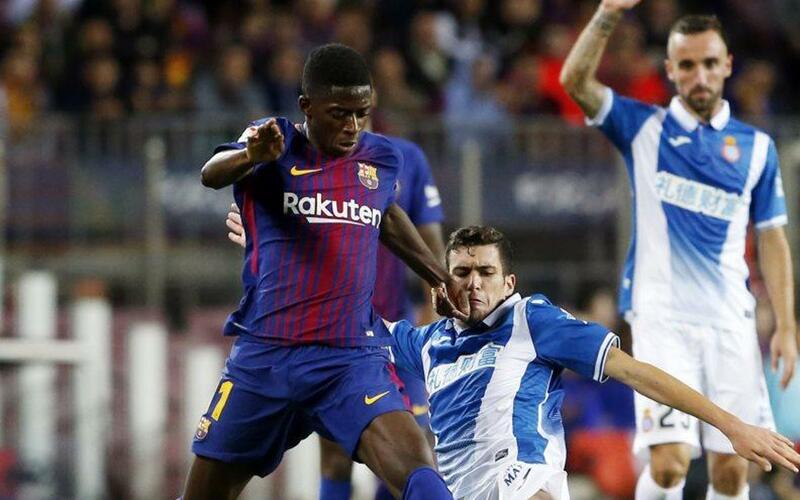 FC Barcelona traditionally have the upper hand in the Derbi Barcelones, and although Espanyol did win the home leg of last year’s Copa del Rey quarter final, they are still looking for their first league win over their local rivals in their new stadium. Barça are currently on the longest unbeaten run in league derby history, 18 games, scoring 46 goals in the process and conceding just five. It’s over a decade since Espanyol last qualified for Europe, but after eleven games of La Liga 2018/19 they were up in second place and even harbouring dreams of knocking Barça of the top of the table. But three straight losses against Sevilla, Girona and Getafe have come as a reality check, and they have dropped to seventh, but did progress in the Copa del Rey midweek with a victory over Cadiz. 37-year-old goalkeeper Diego Lopez was the main reason Barça could only get a 1-1 draw from this fixture last season. Was that a once-in-a-lifetime performance or can he do it again? Centre back Mario Hermoso has been getting plenty of attention this season and was rewarded with a first ever call-up for Spain this week, where he struck a particularly close friendship with our own Sergio Busquets. The Espanyol midfield is built around a highly promising youngster in Marco Roca. He wins the ball and he does things with it. Cut him out of the game, and you’re cutting out a key cog in the Espanyol machinery. In attack, Espanyol are somewhat dependent on summer signing Borja Iglesias, who has delivered almost half their goals this season (although three of the seven have been from the penalty spot). Joan Francesc Ferrer Sicilia, better known as Rubi, never played football at the highest level, but soon became a widely respected coach, and was part of Tito Vilanova’s staff here at FC Barcelona. His greatest accomplishment was guiding Huesca into the first division for the first time ever last season. But rather than stay on, he accepted an offer to return to Espanyol, where he previously managed the B team.